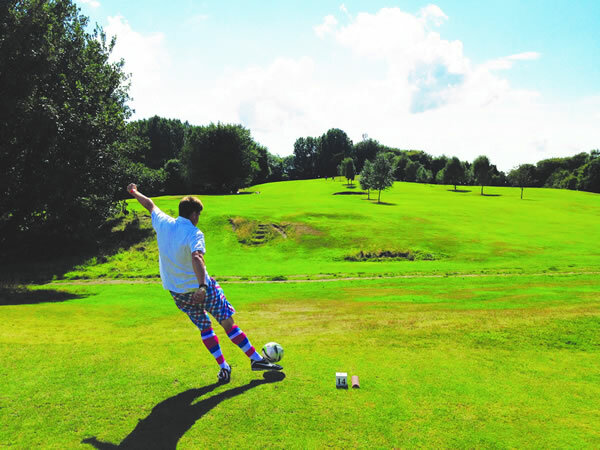 Established in 2009 in Chipping Norton, Oxfordshire, Heythrop Park Footgolf is the place to be. This is a custom-built 9-hole course that is open 7 days a week all year around – a real treat for Footgolfers who are used to fitting in around the Golfing community. This course is located directly adjacent to Heythrop Park’s championship Bainbridge Course and benefits from many of the same landscape features. The Footgolf course here winds its way through some quite heavily wooded areas providing a fantastic challenge to all. It is a peaceful and tranquil setting that can particularly be enjoyed with early morning opening. There are 440 acres of parkland here, putting this course in a setting steeped in history as the park dates back to the 17th Century. Additionally, visitors are spoilt with further amenities available such as the pool and gym, driving range and putting green. There is a bar and restaurant, and accommodation is available should you need it.